Toujeo is the new basal insulin from Sanofi. It’s not quite a replacement for Lantus as Sanofi will continue to sell Lantus. But, since a generic of Lantus will be coming on market later this year, it’s a new product for Sanofi that Lantus users might prefer. My personal interest in switching from Lantus to Toujeo is it’s reported to last up to 36 hours. Lantus doesn’t make it the 24 for me. And it shows less nighttime hypoglycemia. Lantus typically drops me to 55 mg/dl around 5 AM most nights and then my blood sugar starts coming back up. Likely either my liver starts shooting sugar into my bloodstream to save me or the Dawn Effect begins, or both. But then by 6:30 or 7 AM my blood sugar is rising like a runaway train. I’ve been using Toujeo since June 1, three weeks. From personal use I can also report the button is extremely easy to press. So if you’re a type 2 and take a lot of basal insulin, this will be much more comfortable injecting. But I am absolutely crazed trying to figure out how much Toujeo I need along with my mealtime Humalog. When I take the same amount of Toujeo as I do Lantus, I seem to run high during the day. When I up the Toujeo by a unit, I drop overnight. And, every HCP will tell you not to change your dose for 3 days as your body has to get used to the change. It is hair-pulling making this switch which I didn’t think would be difficult at all. I keep wondering how much longer to experiment. Granted, it’s not good to go hypo every night as I do with Lantus, but at least I knew my pattern, and I always came back up. Yes, I know, one day I might not. But now I’m having to figure out the impact of all the variables all over again: food, exercise, alcohol, weather, illness, stress, lag times. I’m not giving up – yet. I more or less change one thing each day to see if it helps during my three day interval, and I’ve got two Toujeo pens left thanks to the largesse of my CDE friend who gave me samples. So while improvements are always welcome, they’re not always easy. My father began to leave us, mentally, two years ago. We were looking at photos on my mother’s computer when he pointed to his granddaughter on screen and called her his Aunt. My mother, brother, his wife and I looked at each other aware we’d heard the slip, but we colluded not to hear it. Or at least to leave a sliver of doubt. For the past two years there’s been no doubt. My 92-year-old father has dementia. He speaks less each time I see him, which is about once a month. He can whisper a few words but it’s a great effort. In that moment he identified us both. For he no longer knows my mother either. Last year he thought she was his sister and worried every night that she wasn’t leaving in time to get home safely. Now he asks me with a lopsided grin, “Who is that?,” shaking his head forlornly. He doesn’t know his wife of sixty-five years who now bathes him, dresses him, cuts his food, ties his shoes. The woman who found him going through the kitchen drawers at 4 AM holding a hammer, pliers and knife looking for more tools; his tooth was bothering him and he was going to fix it. The woman who had to put an alarm on the front door for fear he will open it and walk away. And had to put an alarm around her own neck in case something should happen to her. For then, what will become of him? It breaks my heart every time I see him. Not because he doesn’t know who I am, I don’t care. But because I am falling in love with the father I grew up hating. And now there is precious little time left to have this love affair. It is starting as it is ending. My father was diagnosed with clinical depression when he was fifty-five. Until then he was angry, moody, sullen and self-absorbed. He was not the father who takes you to ball games or ice-skating. He was not the father who asks at the dinner table, “How was school?” Or when I came home from Europe, “How was your trip?” He was the father who once home from work sat in the living room, silent, with a book and a drink. He was the father I experienced as emotionally absent and whose depression made him also at times emotionally abusive. I knew the story of his own childhood. Two of his three brothers both died when they were sixteen years old. One from tuberculosis the other from an accidental fall while climbing a rope in the school gym. My father’s mother never recovered from the loss. So she doted on her youngest child, my Aunt Shirley, the only girl in the family. My father became lost in the shuffle and for years wished he was Shirley. When my father was put on depression medication it took away the anger. It also took away any emotional vibrancy. The dementia has similarly kept him docile, but added a sweetness I have never known before. Sweet, vulnerable and helpless is a wicked mixture; it will break your heart. My father spends his time sitting on the couch staring at the TV screen but takes little in. He often looks at me as if to say, ‘Who are you?’, ‘Why are you here?’, ‘What am I meant to do now?” An avid reader his whole life, he picks up a book from the side table, flips the pages, but takes nothing in. He wanders across the living room to the window and stares at a rock or a leaf or a candy wrapper outside. He wants to go and tend it, until my mother calls him back to the couch. Each time I see him he has lost more ability to speak, hear, comprehend, do. As my physician assistant friend said, “His body is outliving his mind.” Yes, that is exactly so. He no longer understands why my mother calls him to the dinner table, or puts his jacket on him to go outside, or lifts him off the couch to get into the car so they can return me to the train station. But he goes along like a baby lamb following its mother. So that when he looks at me and smiles, trusting me for no reason, my heart breaks. These days all I want to do is stroke his cheek, take his hand or put mine over his heart. It is cruel that God has made me fall in love with my father after sixty-one years. When I use to think about his passing, I thought I would miss him from time to time but no big deal. Now I am already devastated. I don’t expect you’ll be here dad next year for Father’s Day. But I’ll tell you again this Sunday, “I love you.” And now I know I always will. The USDA Food Pyramid featured above is a poor model for eating healthy and it keeps you addicted to carbs. What it shows we should eat most of is starchy carbohydrates – grains, breads, pasta, cereals. These foods raise blood sugar more quickly and higher then any other food. 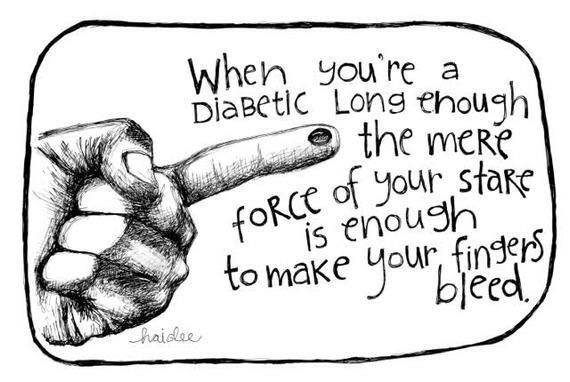 They then drop your blood sugar just as quickly. The result? You’re left feeling tired, hungry and craving more carbohydrates. You become addicted to these foods, literally, as sugar and starches light up the pleasure region of the brain – 8 times more than cocaine! Plus, every time your blood sugar spikes, you either have to inject more insulin or your body has to produce more. This gradually poops out your pancreas (our insulin organ) so that it has to work harder pumping out insulin. When you eat a lot of these starchy, high glycemic index foods, you end up with a lot of insulin floating in your blood stream. Insulin is a fat storage hormone. Guess what happens to those carbs you just ate and didn’t burn? Insulin stored them as fat on your body. For the government to recommend making these foods the bulk of your diet, turning you into a carb addict, you’ve got to wonder who’s sleeping with who in the food industry? This Food Pyramid represents the Paleo diet. It says eat mostly lean meats, fish, eggs and healthy fats. It’s a far better model to follow for general and diabetes health. Paleo, however, can be hard for many people to stick to. It usually doesn’t include dairy and is pretty strict about meats being cage-free and grass fed and vegetables and fruits being organic, making it a more expensive way of eating. This is how I eat: mostly vegetables, healthy fats, avocado should be in that picture too, with some fruit, fruit protein shakes, lean protein, nuts, seeds, some soy products, red or white wine and dark chocolate. Also, I make a delicious flax muffin every morning and munch on my own home baked nut/seed bread and chocolate biscottii. Here are the recipes. Each is delicious, nutritious and low carb. Occasionally I’ll have a sweet potato or quinoa, lentils or beans. Occasionally I’ll have whatever I want that’s not on this eating plan like ice cream or fried calamari. Eating this way most of the time WILL break your food cravings and your brain’s addiction to sugar, flour and bad fats. It will stop taxing your body to over produce insulin and it will stop the fat accumulation on your body. Yes, you’ll lose weight. And as Dr. Mark Hyman below says, cutting the sugar and flour out of your diet, will reduce inflammation and disease and restore health. It’s not hard, you just have to decide you’re ready. It’s a beautiful Saturday afternoon and I spent it doing one of my favorite things – taking myself on a treasure hunt. I scour my neighborhood on foot within about five miles searching for a particular item I need. Whether I find it or not rarely matters. It’s the fun of looking, the meandering through new neighborhoods and the benefit of the exercise. At the end of today’s hunt I dropped into a coffee shop for lunch. I ordered a spinach and feta cheese omelette, substituting lettuce and tomato for the french fries and nibbling on the crusts of a piece of whole wheat toast. I couldn’t help but notice what the family at the table next to me was eating. The boy closest to me had breaded and fried onion rings, french fries and fried chicken. The four other adults and two other children at the table had buttermilk pancakes the size of car tires with whipped cream and syrup. Not surprisingly, everyone, including the kids, was overweight. A few minutes later, two couples sat down at the table on my other side. They began with sugared ice tea and donuts and then had a similar pile up of fries, grits, pancakes and meat sandwiches to which they added sweet syrup, ketchup, fake margarine and salt. Everyone was also overweight at this table. As the man poured ketchup over his wife’s fries all I could think about was the high fructose corn syrup in the ketchup. And maybe hauling him off for wife abuse. As the woman opened the little pack of hydrogenated margarine to put on her grits all I could think about was the harmful effect of vegetables oils and trans fats. The families at both tables were Hispanic, although I don’t think that makes a difference. What they were enjoying is the typical American diet. What was so troubling was I don’t believe any of them knew that these foods is why they have the health problems they already do, and if they don’t already have them, the high blood pressure, diabetes and heart disease they’re going to get. Functional Medicine treats the body as one whole system, as a mechanism, and looks for the root causes of disease. Traditional medicine looks at the body in pieces, referring out to specialists who cover a particular piece, and prescribes pills for disease symptoms. Functional Medicine believes food is medicine and that food, fitness, environment, toxins and stress drive the body’s mechanism to either increase or decrease wellness. Immersed as I’ve been this week in Hyman’s teachings – hearing anew that every bite determines which genes express themselves, which enzymes, hormones, DNA get turned on and whether inflammation occurs, I watch people eat seeing the direct route from fork to stomach to disease. It’s not about the number of calories you eat that we’ve heard for so long but the quality of those calories. The wheat we eat today is not the wheat of yesteryear, it’s been bastardized and raises blood sugar faster than it ever did. A McDonald’s breakfast creates immediate inflammation in the body. It’s horrible – I can’t look at what people eat anymore without wanting to leap over my table and save them. If you’re interested to learn more, this is a really good presentation Dr. Hyman gave at TED on Functional Medicine and food. Hyman’s also written several books about fat and sugar and insulin resistance. His latest book is The Blood Sugar Solution 10-Day Detox Diet. In one sentence here’s the food key to maintaining health, losing weight and preventing or reversing insulin resistance and metabolic syndrome – get rid of the sugar, flour, artificial sweetener and processed foods in your diet, add more healthy fats – avocados, nuts, seeds, coconut oil, olive oil – and make the bottom of your food pyramid vegetables and lean protein.